Pristine and incredibly rare (1 of 983 total US Production) 2 Owner 2011 BMW 1 Series M Coupe with just 33722 miles. Valencia Orange Metallic on Black Boston Leather with Contrasting Orange Stitching & Alcantara Interior Trim Inserts, it is one of the most desirable color combinations available on a 1M! The interior of this vehicle is virtually flawless. This vehicle has every option available including 19-inch Cross-Spoke Forged Alloys, Premium Package, Convenience Package, Navigation System, Harman Kardon Sound, Heated Seats, Rear Park Distance Control, Comfort Access, Xenon Headlights, Satellite Radio, Rain Sensing Windshield Wipers, 6-Speed Manual Transmission as well as extensive additional equipment. Car has been through a thorough pre-sale mechanical and does not need anything. Interested in extending the warranty up to 7 years/100,000 miles from the date you purchase (valid at any BMW service center)? Ask us about driveanything.com's Certified Pre-Owned Program. We offer competitive financing rates from 24-75 months. Available for qualified customers , please inquire for details! 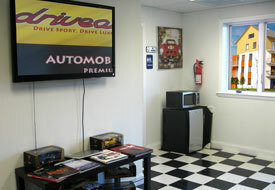 Copyright © 2014 Driveanything.com is the website of Automobile Consultant, a Vehicle Dealership Licensed in Pennsylvania. All Rights Reserved.